- This script using vesta templates. - This script using remi repo. - Ubuntu PHP selector for vesta ? -- Coming soon, but you need spend time on compilation of php 15 / 20 minutes for each versión. - Remove some code and tests. - Using simlinks for templates. - Install php 5.4, php 5.5, php 5.6 and php 7. - Support if php was upgraded, skip that version. Run at own risk ! still in beta, This it provided without any warranty ! You download a html file and not a script. Hello. Is it planned: SUPPORT NGINX + PHP-FPM? 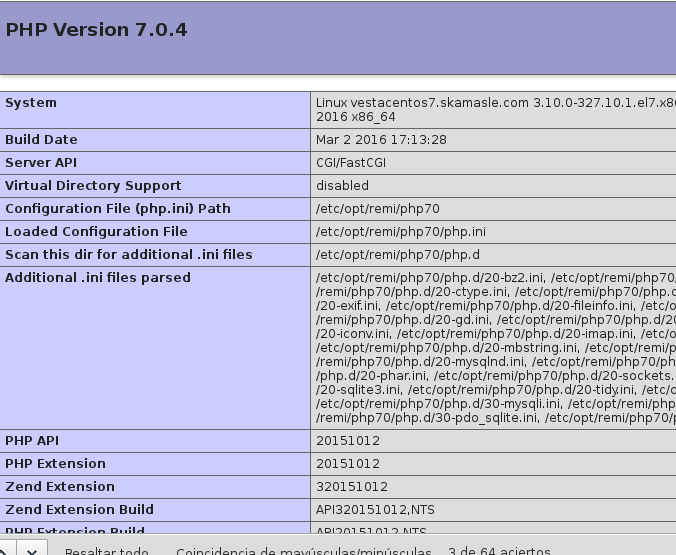 It said me that "PHP 7.0 is already installed and nothing to do"
But now Ive got my existing sites on PHP 5.6, not 7.0! It is "web template" default in both. And the choice exist only as standard and "sk-php5.6"
Please, how to shitch to 7.0 back??? 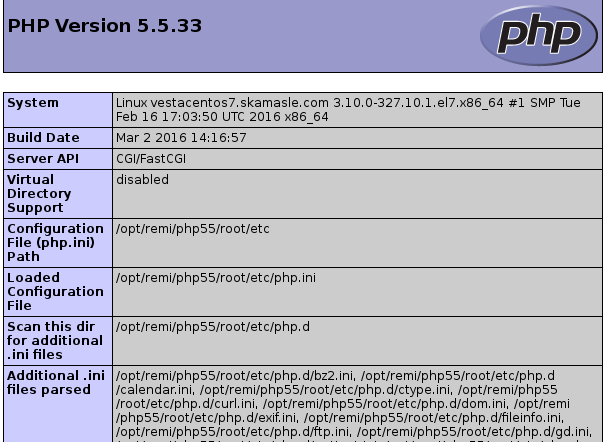 Just tried on my server and it set php from 7.0 to 5.5.6 as default. How to fix that and revert 7 to default and rest optional? I need 5.5 only for one site. php-related conf files except ones related to version you need by default. For example - i removed 10-php55-php.conf and 10-php56-php.conf. 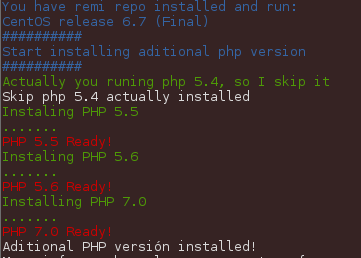 Files 15-php70-php.conf and 15-php.conf still there and now i have default php7. Please someone confirm my information. Great! It works for me so far! I'm back on PHP7! error "The site ... can not process this request yet." This fail in any php script ? can you do a info.php file ? You install version from github ?